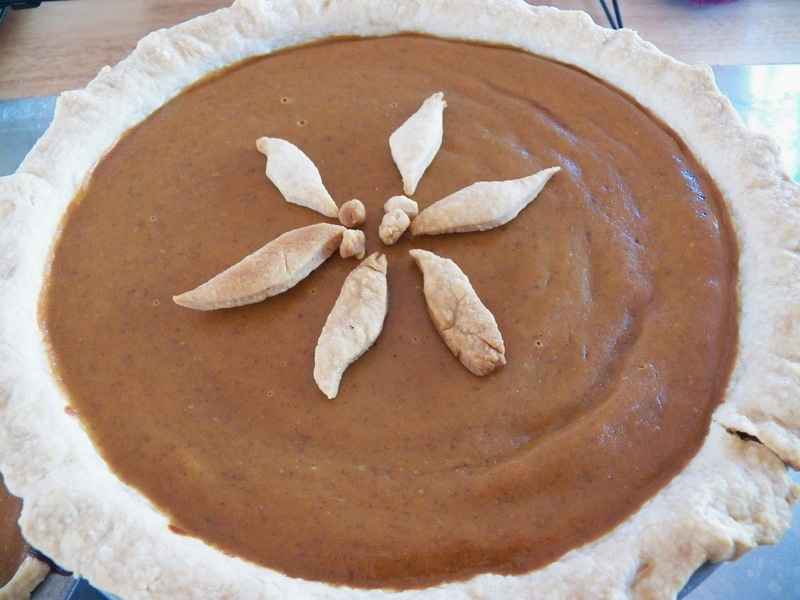 After I made that great pie crust last week and baked up the pumpkin pies, I had some pastry left over. 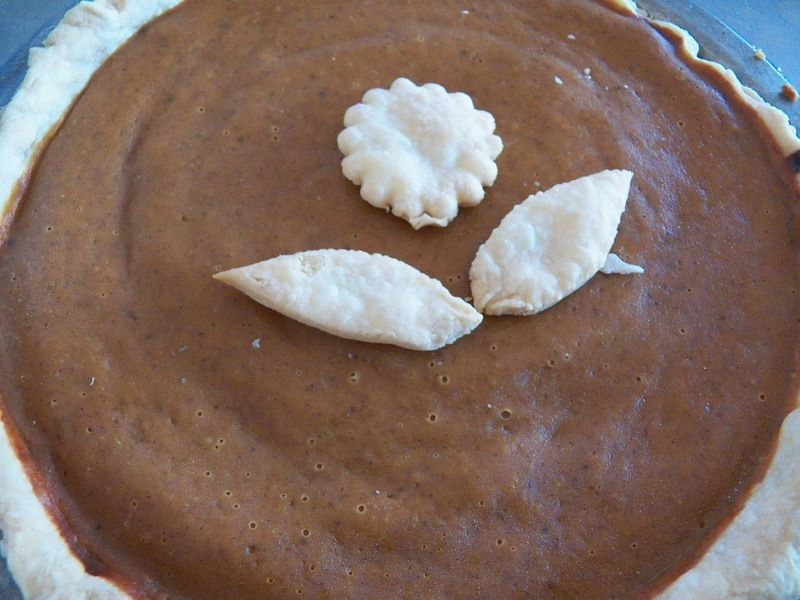 I did make some leaves and stuff to decorate the pies, however there was still a little dough left so I had some fun. 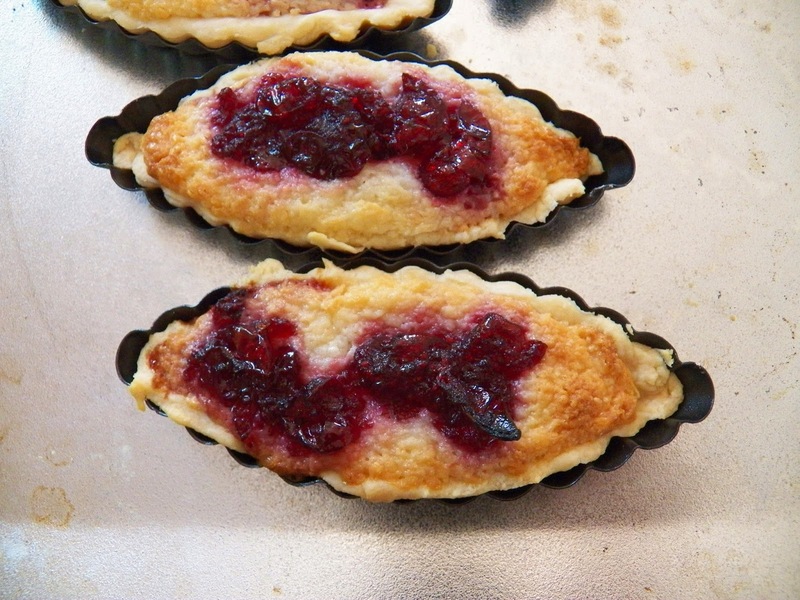 I rolled out the dough, then pressed them into these little tart pans. I then grabbed some cream cheese out of the fridge and softened it in the microwave. Dumped it into a bowl and mixed in some confectioners sugar, and added a teaspoon or so of Grand Marnier. 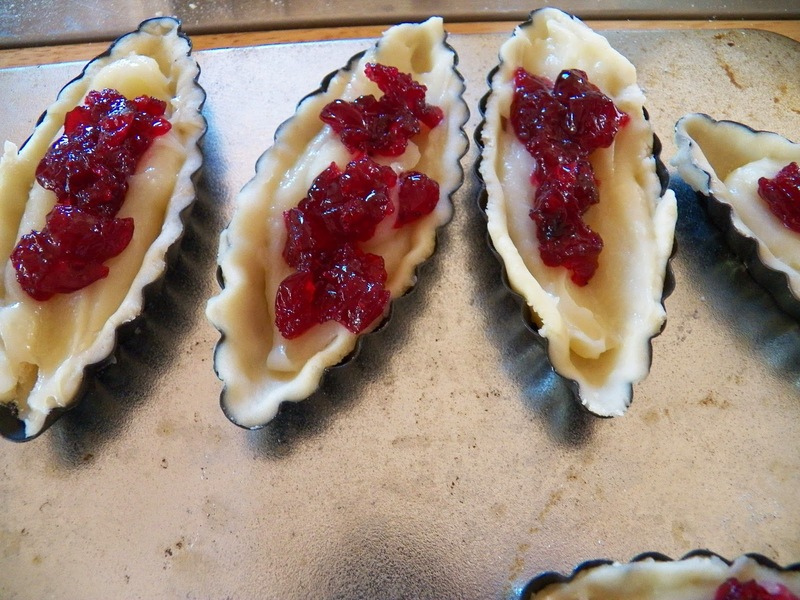 and dolloped some of my Boozy Cranberry Sauce on top. 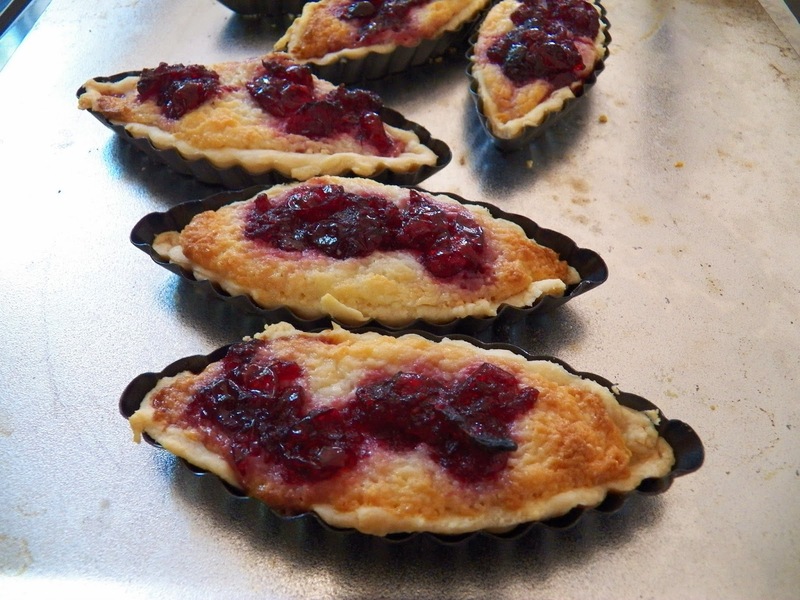 Baked them off until the tops were nicely browned and took them out of the oven. But I had to share them. The bird wanted a taste and after she’d eaten a nice corner of it, she came back for more. So this recipe is bird approved. And if you’re wondering about the bit of alcohol in this, it had cooked off long before she got her beak into the pie. I’m so going to make some more, but next time I’ll make enough to share with more than the bird. 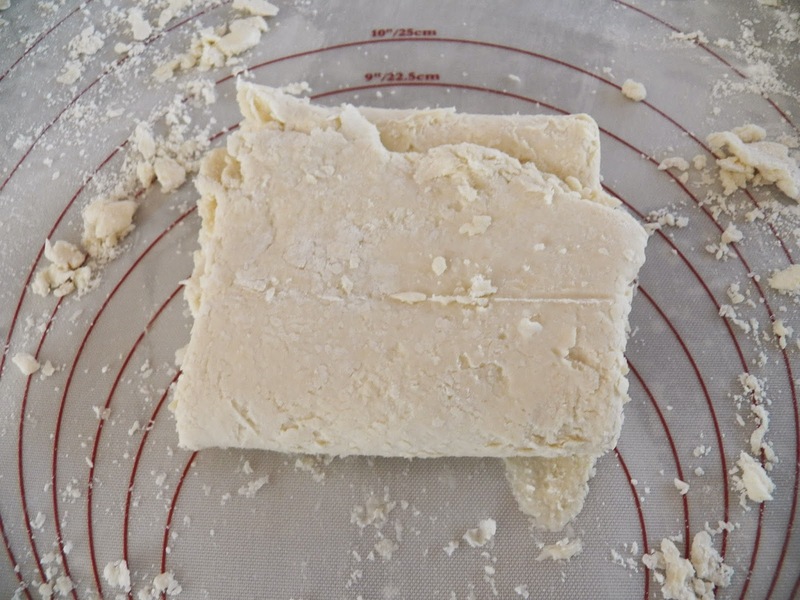 I posted a recipe for a totally amazing pie crust last year, and while it was good, it wasn’t quite right. I’d done part of it from memory and part from a scribbled note I’d made at the time, which I totally, ummm, screwed up. I found the correct recipe last week. 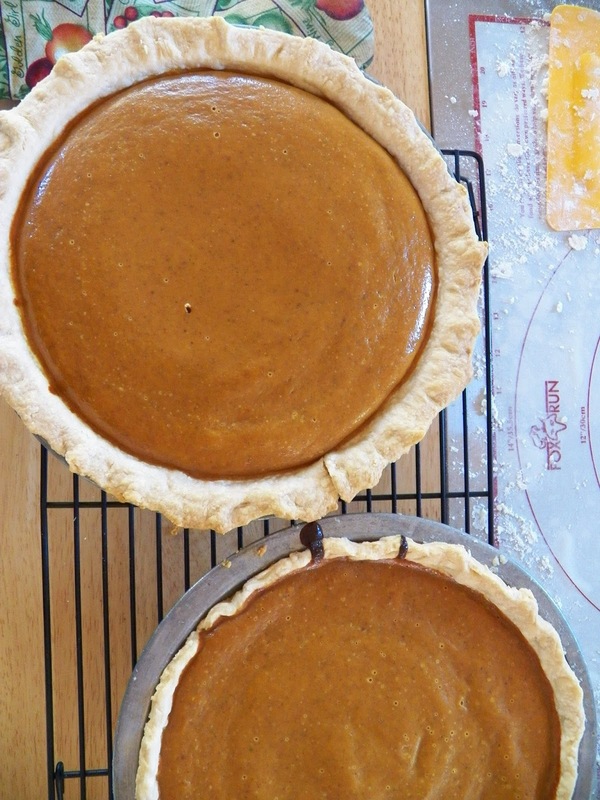 The whole recipe this time, and I made it and then proceeded to bake two pumpkin pies. I also had some dough left over which I had fun with. I’ll tell you about that one later on. I have to say, this is fiddly. But worth it. And only three ingredients to worry about. Just make sure your butter is cold. And if you happen to have a marble or stainless steel counter or work area, go for it. I also place a bowl of ice on the stainless top of my little island. You also need some kind of scraper to get the dough off of the counter. I used my off-set spatula along with a dough scraper. 2 1/4 cups all purpose flour, plus a little more for dusting. 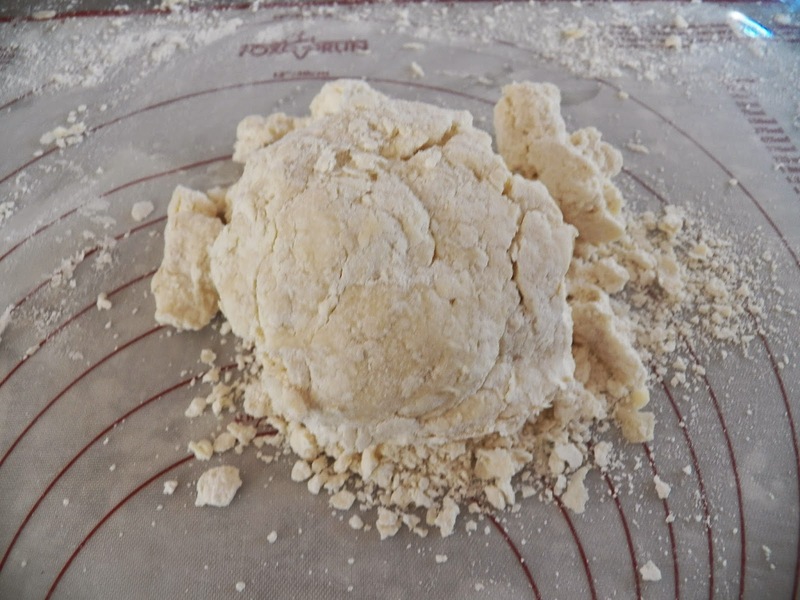 To start with, measure out the flour and dump it in the middle of your counter or your pastry sheet. 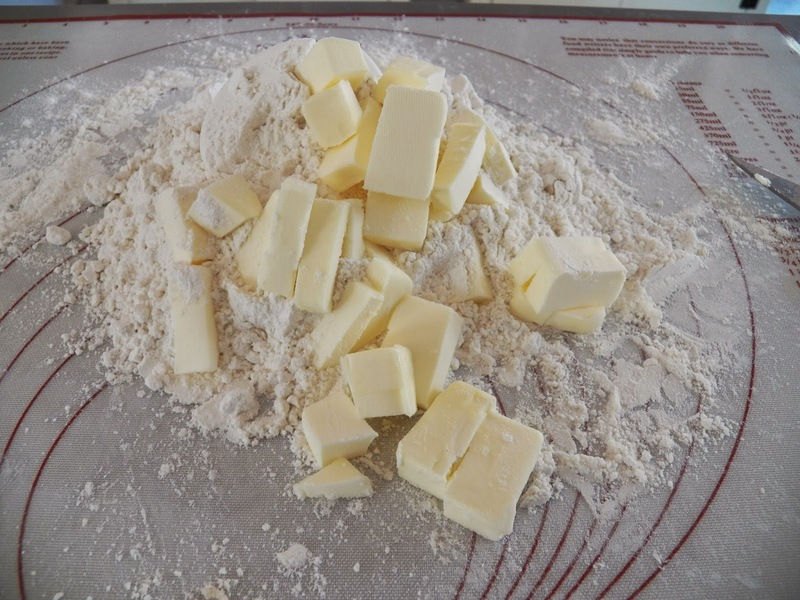 Then place the cut up butter on top, and toss them together until the butter is covered with flour. (this does get a little messy). 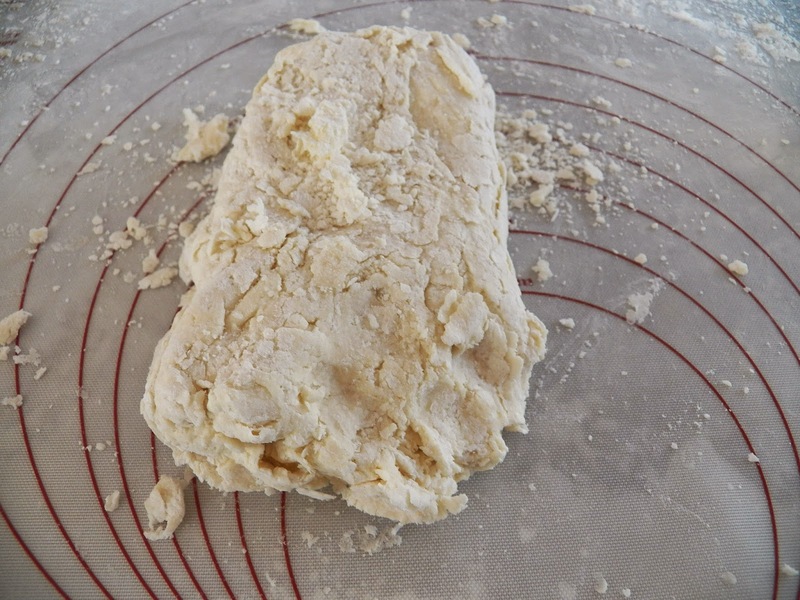 Then using your fingers or the heel of your hand or your rolling pin, press the butter into the flour and roll it. 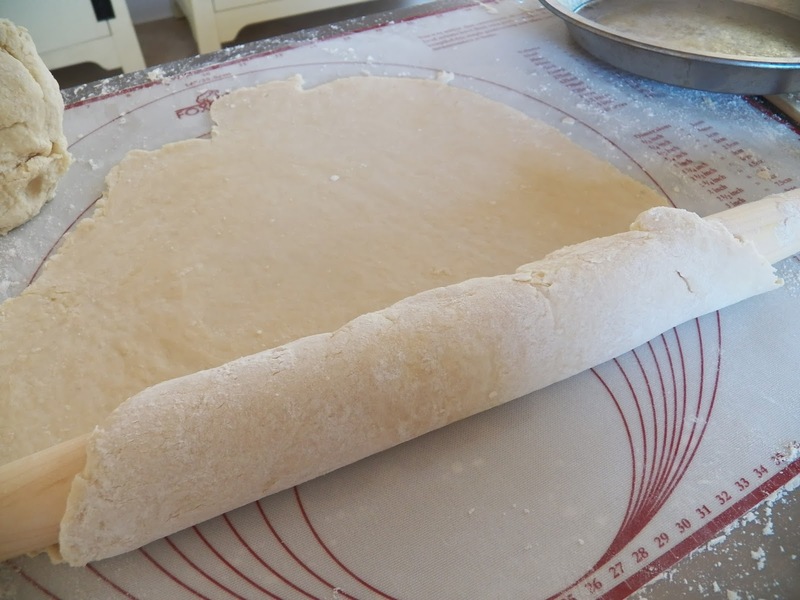 You’ll get long streaks of butter here, then use the dough scraper and scrape the dough together into a rough pile, use your rolling pin and roll it out again, repeat this a couple of times, then make a well in the middle of the dough pile and add the ice cold water. 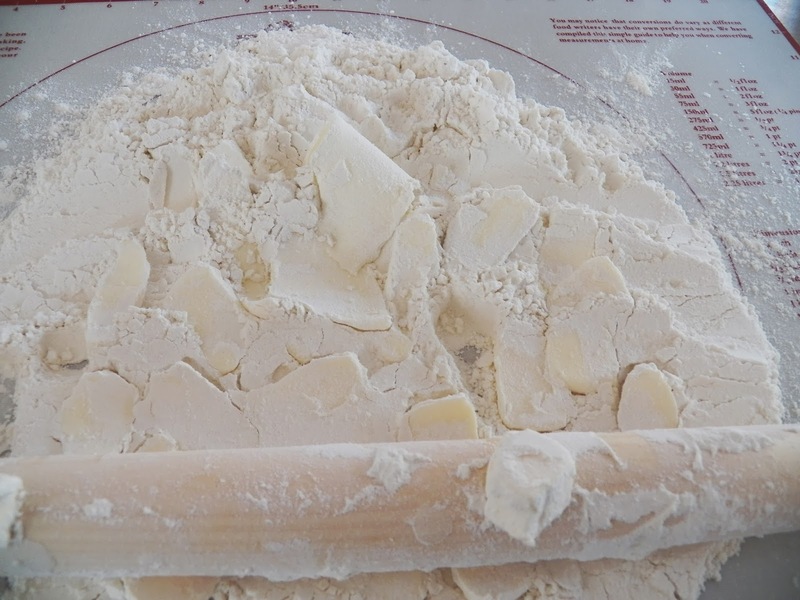 Work the water into the flour/butter mixture and then roll it together one more time. 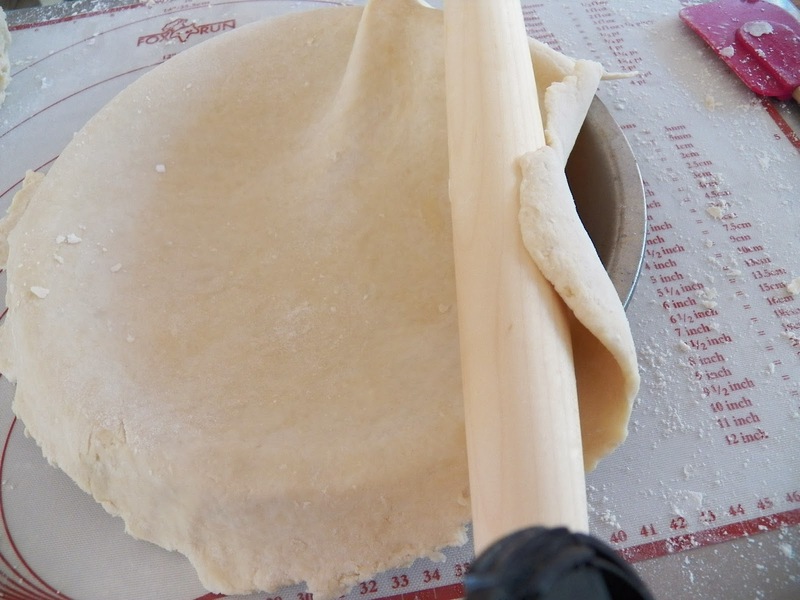 and then fold the dough into thirds, like a letter. Turn this 90 degrees and roll out again, forming a rectangle. Repeat the folding and rolling twice more. The dough will have come together beautifully by now. 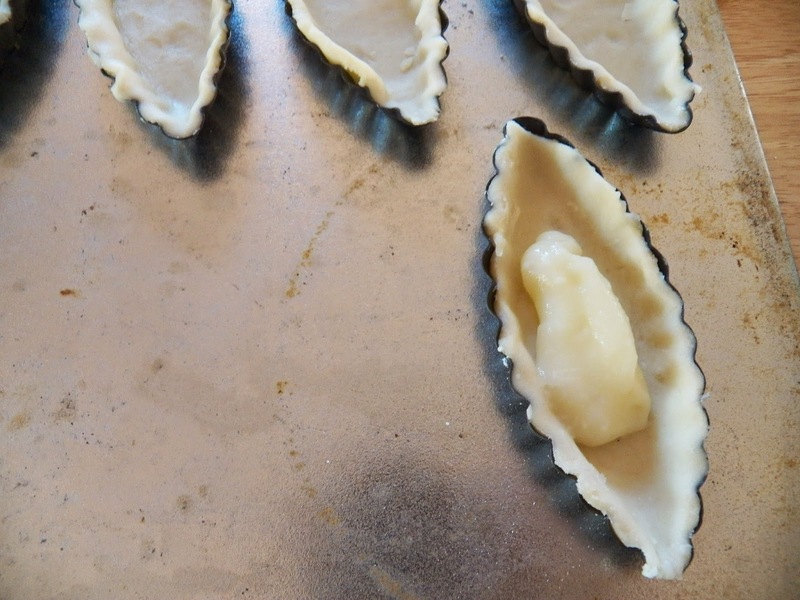 Form into a rough disc and place in the fridge for at least 30 minutes. 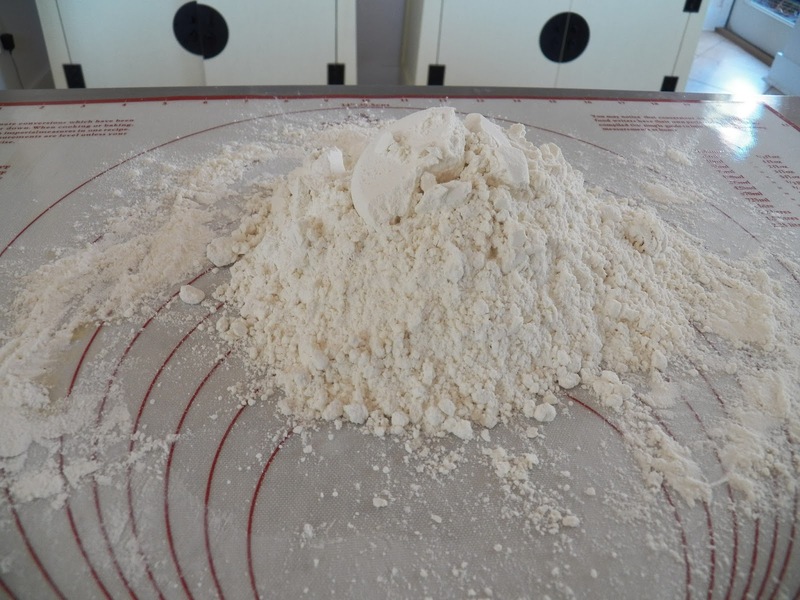 This gives the flour time to relax, and cool down. Divide it into two pieces at this point, cause it does make two crusts. Trust me on this, it’s a lot easier to roll out each piece, rather then fight with one big one. 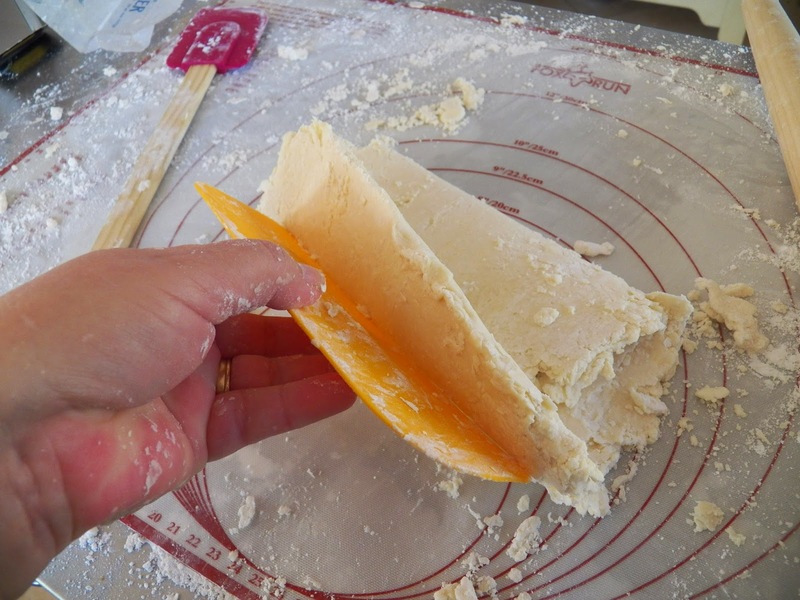 then transfer the pastry sheet to the pan, draping it in the middle. Fill with your favourite filling, in this case it was pumpkin pie. And bake. 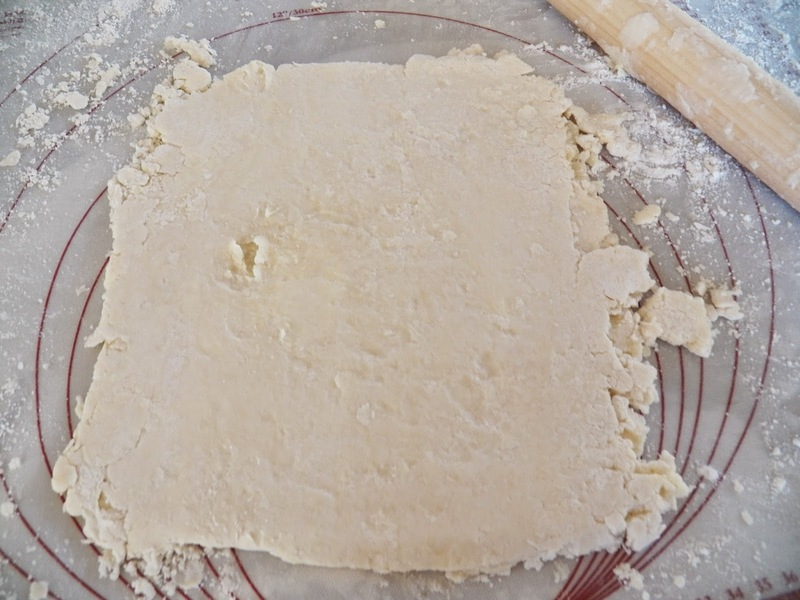 And this dough also lends itself well to make lattices for the top of the pie. I haven’t done that in forever, but I think it’s time to give it a try. It’s kinda hard to overwork this dough, really. 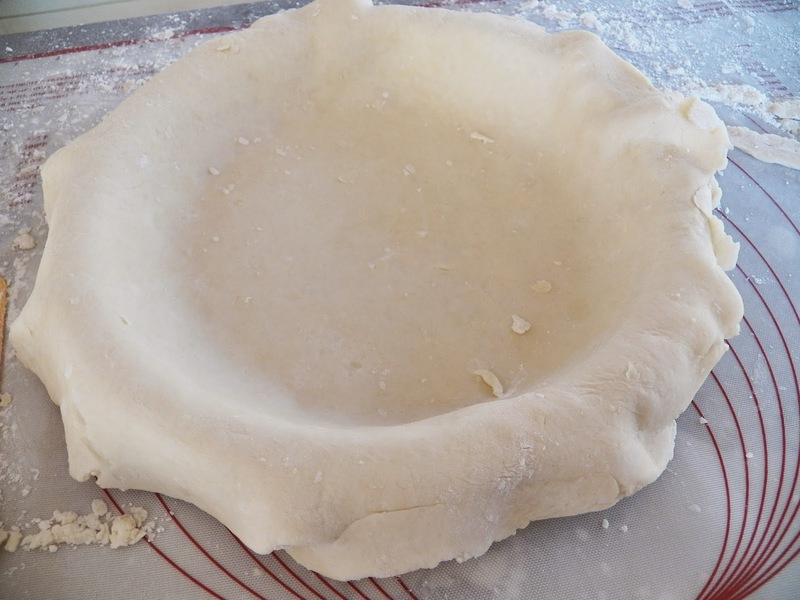 You can make up a couple of batches of this pie crust and freeze it for later on. And I just got a great tip the other day, a friend said her grandmother would roll out her pie crusts, then freeze it flat, and that way she could whip up a pie in no time at all. I’m going to be a copy cat and try that myself, just as soon as I get couple of things out of the freezer, and make room for more stuff. 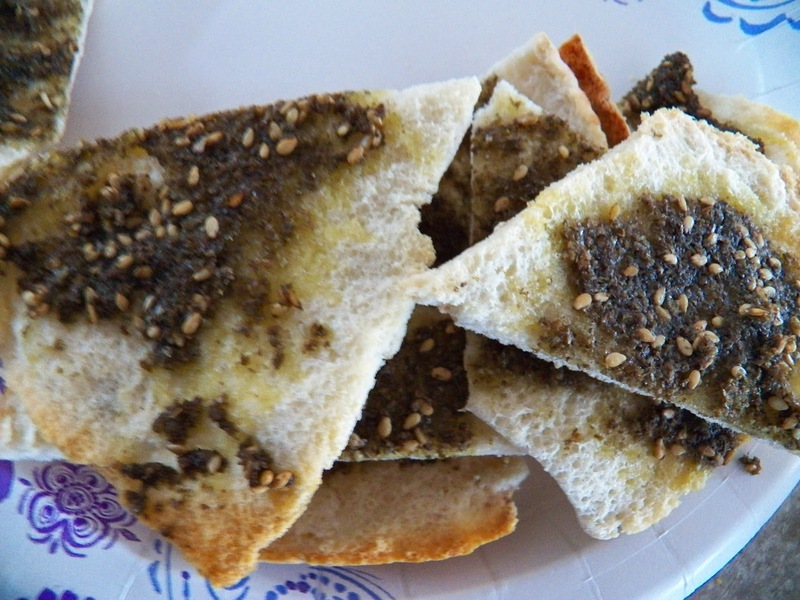 Have you ever tried Za’atar? It’s an interesting spice mix from the mid-east, usually consisting of thyme, sesame seeds and sumac and other herbs sometimes. It has a kind of lemony taste, but is so good on roasted meats, on top of greek yoghurt and various Syrian and Lebanese dishes. A friend, Debi Jordan, musician extraordinaire, introduced me to this spice mixture the day she showed me how to make Stuffed Grape Leaves. And then I went and bought more, just for myself. Well, the bag I bought was quite large, so I split it with her. The Za’atar has sat in my spice drawer for quite a while now. I keep meaning to use it, and in fact have used it seasoning some chicken dishes, etc. As I was moving it aside the other day, I realized that I really did need to use it up, or at least use more of it in something. Then I saw this recipe on TheKitchn.com and realized “YES” I can do this. And in this season of conspicuous consumption, this is even semi healthy. At least the olive oil is good for you. Take about 1/2 cup of Za’atar, mix it with some olive oil, in other words make a paste. Set aside. 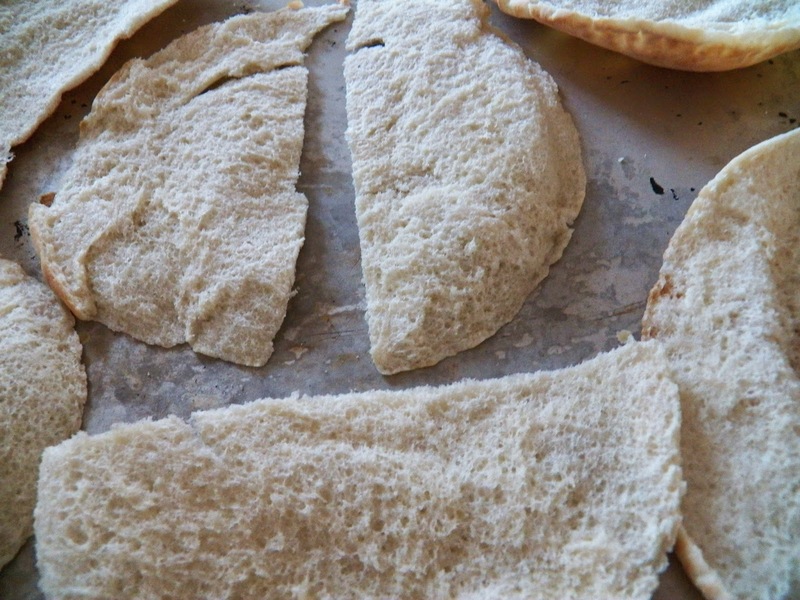 Pull out a couple of Pita Bread rounds, cut them into wedges, and then split them in half. Put the rough inner side up on a baking sheet, and spread the Za’atar mixture on top. Serve with some Hummus and you either have a nice light snack or lunch. I made these for NPA last night and they disappeared. 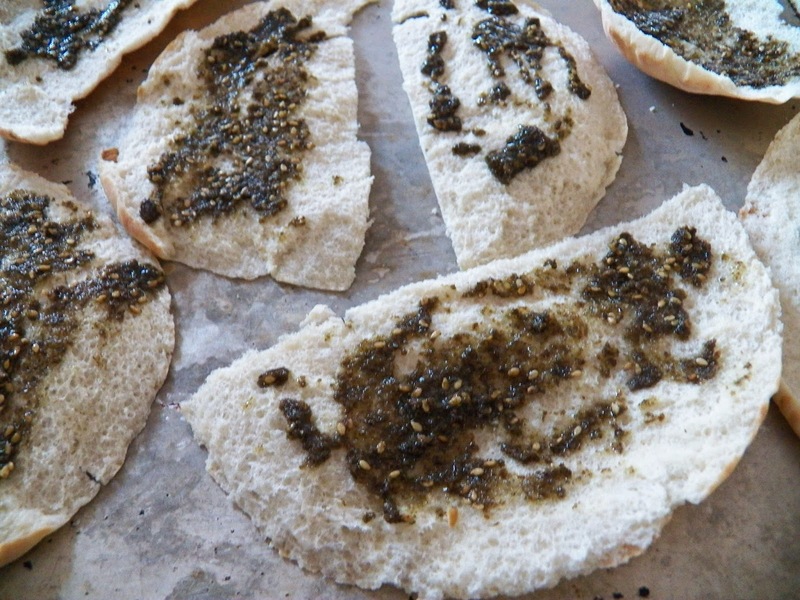 I think I’m going to keep some Za’atar on hand as well as some Pita Breads in the freezer from now on, cause this was so simple and easy to make and it just plain tasted good. I did sample a couple or three before I took them to NPA as well. You know I’m not going to share something unless it tastes good, right?